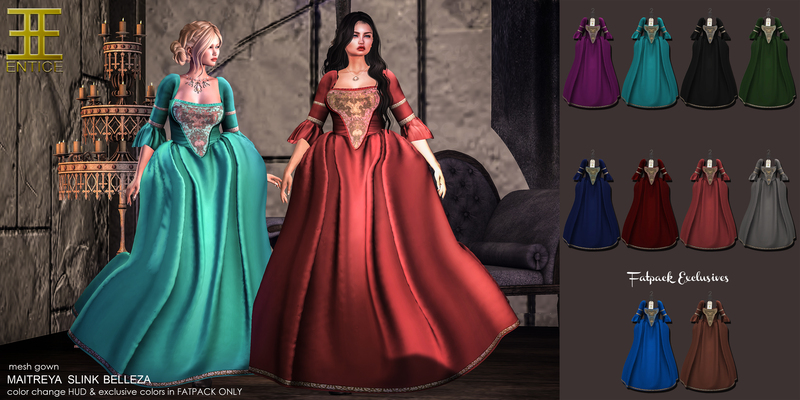 Entice has release the “Castle on the Hill” gown which comes in Maitreya, Slink Hourglass and Belleza Freya sizes for the November round of We Love Roleplay! There are eight individual colors to choose from or a HUD controlled fatpack of ten (includes 2 bonus colors exclusive to the fatpack). Head over to We Love Roleplay today! Entice @ The Gacha Garden (November) Entice @ The Designer Showcase!